Hello in July! 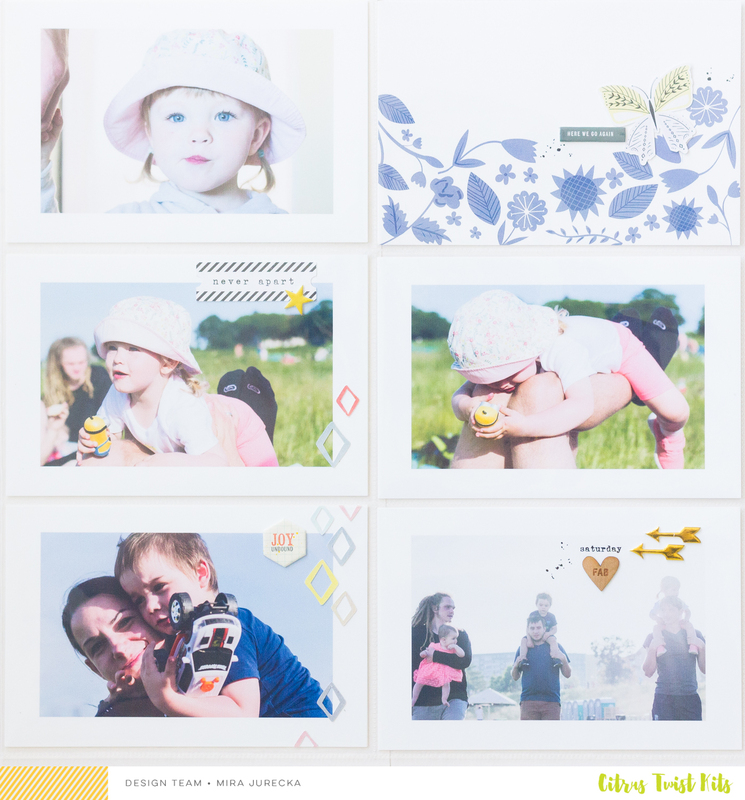 It's Mira Jurecka bringing You 3-to Inspire challenge for those who need a little extra creative push to get scrapbooking, to keep scrapbooking or for those who just like a challenge! Your take on this challenge can be a layout or a PL spread and remember that you'll want to include all 3 prompts on your project. For today's challenge I prepared a single pocket page collecting memories from one summer evening, that we spend with Friends and their kids a couple weeks ago. I've chosen the pocket page design with 6 pockets (4x6 in) and filled 5 of them with pictures. I was left with exactly one pocket dedicated for a PL card which is very common configuration in my albums. This card always needs to be special! In July Pocket Life kit there was this wonderful card full of flowers, but I wasn't sure if I wanted to use it in my project, because the flowers were blue... which is not my favorite color. Actually I use it rarely and was kind of scared to use this card. This time I made an exception! Instead of putting the card away I went out of my comfort zone and used it! And I think my choice was great! 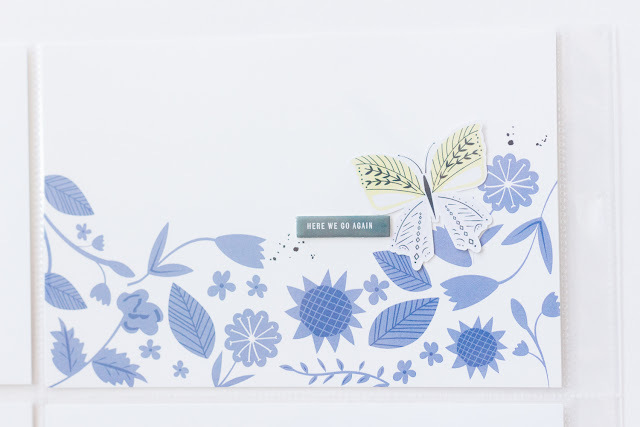 The card really suits this outdoor theme and compliment these pictures very well. Additionally I used a few diamond-shaped paper die-cuts from the set that Kaitlin Sheaffer designed for Citrus Twist Kits this month (which is again INCREDIBLE!). I placed them on top of the two pictures at the bottom of my page, and by creating this geometrical pattern connected these two photographs and made my page more consistent. Third thing that I ended up choosing for today's challenge was adding a few splashes here and there, which I always consider to be a fun way to finish the pages. I always add a bit of spark and kind of messy character to my projects. Now, it's your turn! Use the three prompts to create your own projects and share them with us in the CTK Gallery and/or on our Facebook Fan Page by Saturday, July 22nd, for a chance to win. You can also upload to Instagram and tag us @citrustwistkits. Have fun!